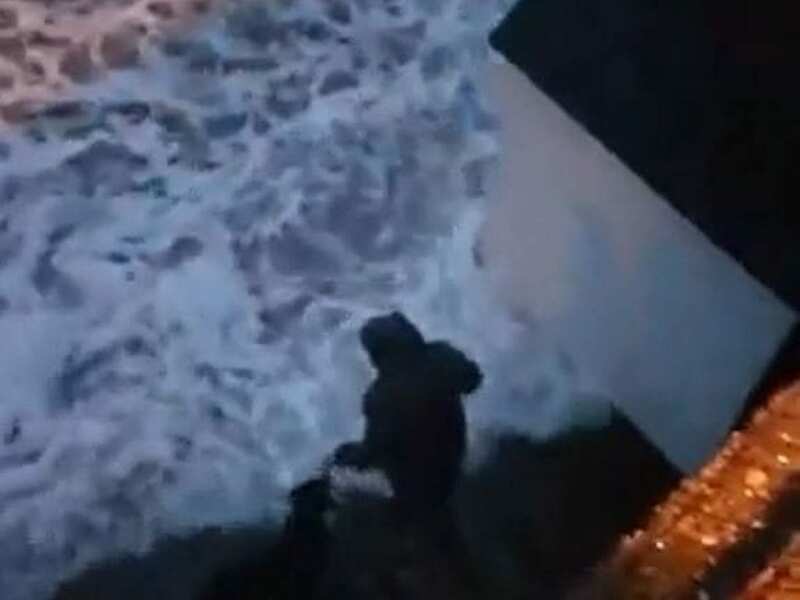 This is the terrifying moment a dog walker gets smashed by huge waves crashing over a seawall during a violent storm in Cornwall. Shocking video footage shows how a woman put “her life at risk” as violent waves battered the coastline at Goodrington beach, in Paignton. 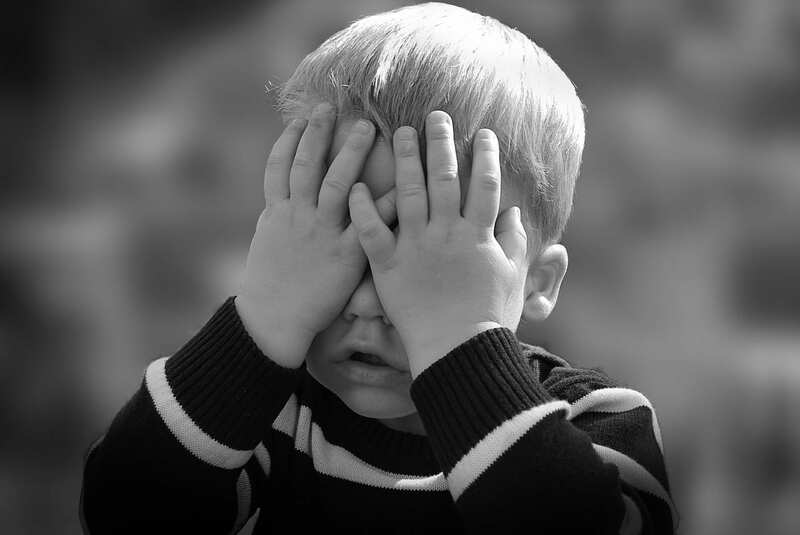 Onlooker, Wayne Kingsley, filmed the footage as he watched on with his son and wife in “disbelief”. 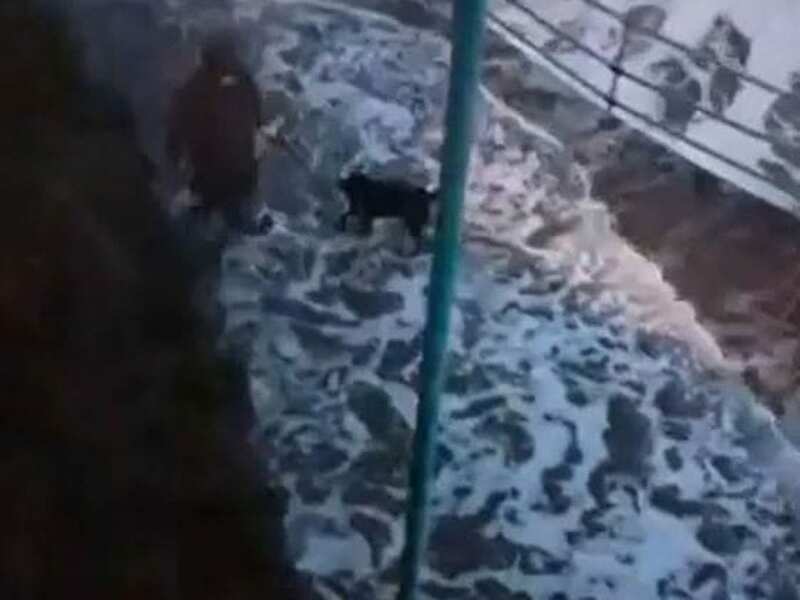 A dog walker was seen getting hit by huge waves along Goodrington beach in Paignton, Devon. 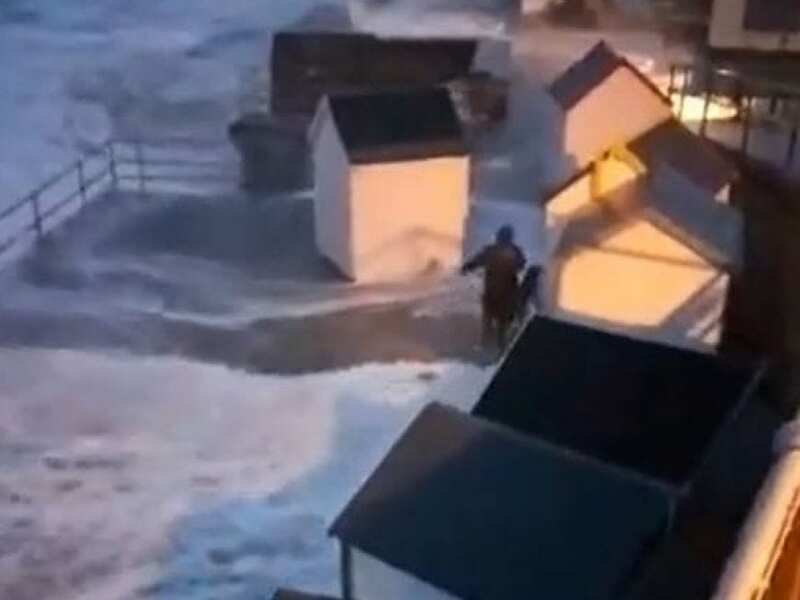 The video shows the powerful waves move wooden beach huts up and down the promenade. It was high tide and strong easterly winds were creating large waves big enough to damage the huts and hurl seawater towards nearby homes. But when Wayne noticed a woman walking a dog along the flooded path below him, he couldn’t believe what he was seeing. 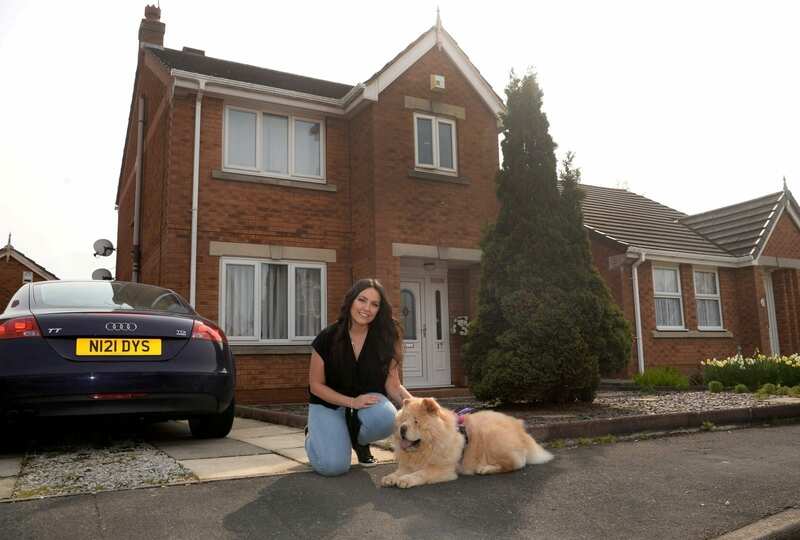 Wayne, 44, said: “As a local lad I know what it gets like down there. “The pedestrian section was completely flooded and the waves were battering the beach huts leaving the splayed all over the place. 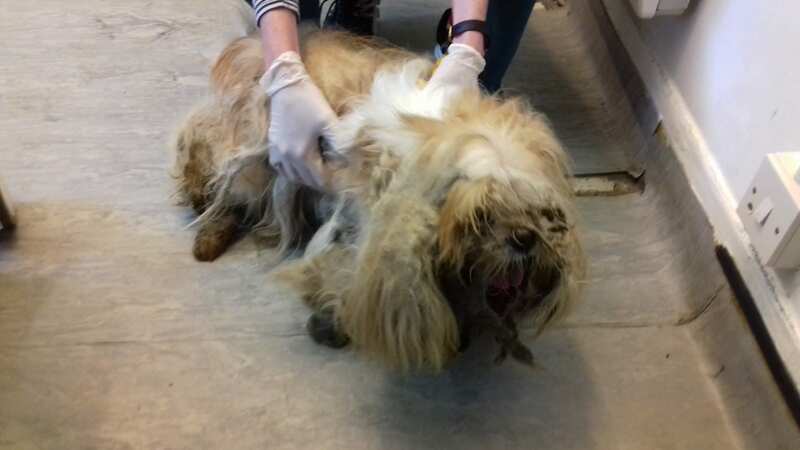 Research and development technician, Wayne, added : “She got absolutely battered – the dog looked terrified. “The sea was so powerful last night. I’m ex-navy but she clearly doesn’t understand what the ocean can do. “She could have been swept off her feet and under the railings into the sea. “For the beach huts to move around as much as they did it must have been very strong. “I was around 40 feet above her and behind railings an I still got soaked – I’d be amazed if she wasn’t slightly dazed or even hurt. Wayne says he continued to filming right up until the woman had made it to safety at the far end of the walkway. He says the coastline in often battered by high seas and has warned other people to be wary of the “unforgiving” waters.